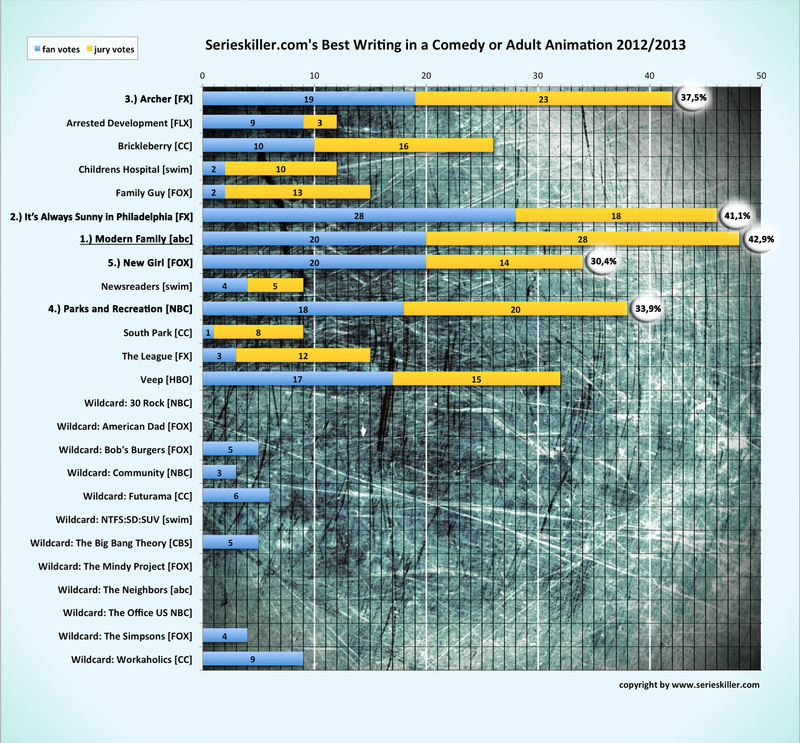 2012/2013: Best Comedy/Animation Winners » Serieskiller - Drama is serial! outshined its competition by constructing the strongest net of funny stories, creative jokes, characters that make you die laughing and that certain something in a comedy or adult animation of season 2012/2013. This awars focuses on the upcoming shows of the season 2013/2014.